Valentine's day is creeping up quickly and is less than two weeks away now. When you first begin dating someone, it is relatively easy to think of a gift - flowers, candy, cologne, concert tickets... those are all lovely. 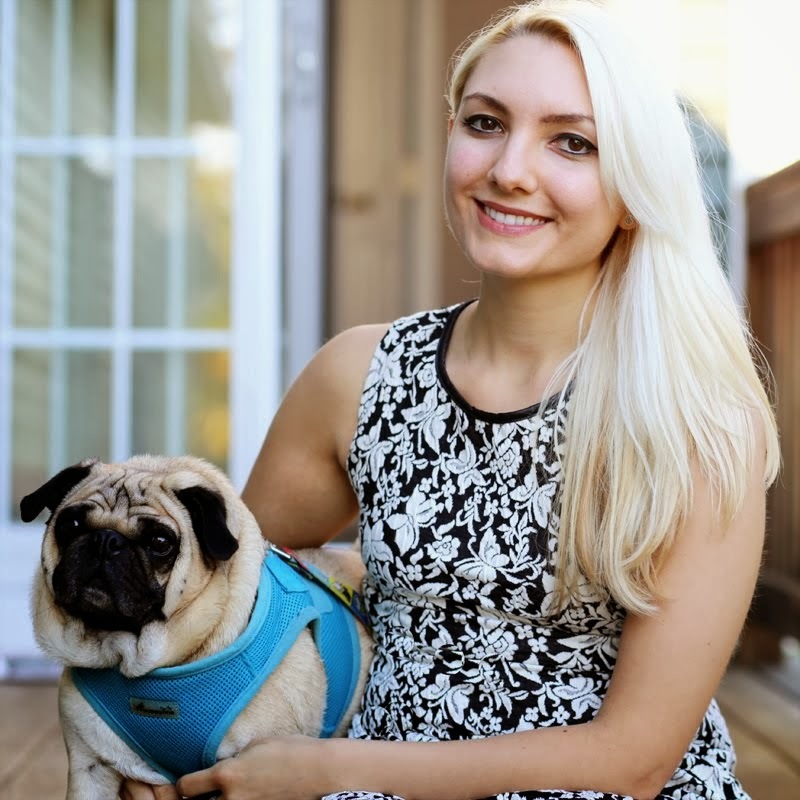 After you have dated someone for 3+ years and you've exhausted all of the traditional gifts between anniversaries, birthdays, and holidays, it can be very difficult to find something unique and meaningful to give to a boyfriend or girlfriend on Valentine's Day. This is my dilemma. I am the type who gives gifts all the time, even for no reason. "Oh, hello, it's Tuesday and I found this and thought of you. I couldn't wait one month until your birthday because I am ridiculously impatient and I had to see your reaction immediately." That, or something along those lines, is a typical thing that I would say and do. So, here I am, 12 days before Valentine's day thinking "what the hell can I possibly buy for my boyfriend that doesn't resemble a gift I've already given him?" Hmmm. 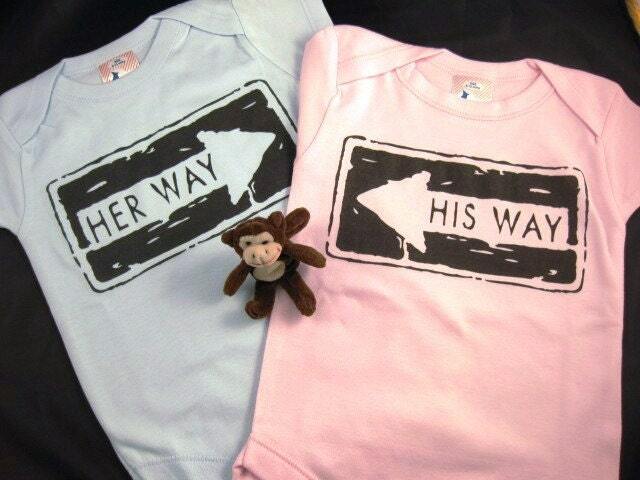 Lately I've been a fan of "his" and "hers" items. There is something so cheesy and overwhelmingly cute about matching sets of items that couples can share, wear, and pair together. That is why today I am curating these matchy-matchy items that make me smile. Maybe it will inspire a gift idea, if not for my own use, then for yours! Bicycles built for two are too complicated to be romantic. That is why "his" and "hers" bikes are so much more practical. You can exercise, have fun, and actually get somewhere without falling over and making a romantic trip to the ER. The creator of these towels must know what I am talking about. 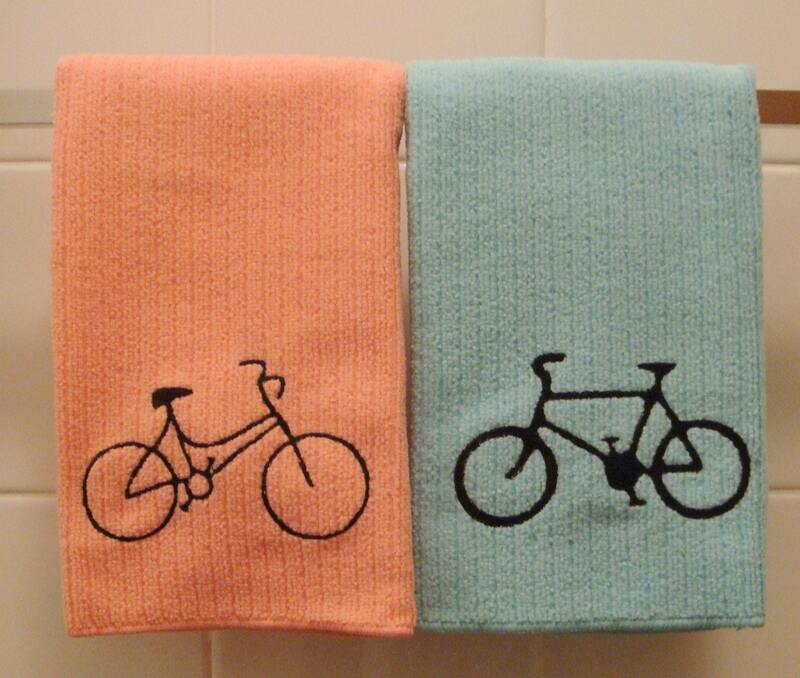 There's one for him and one for her, so now he can stop wiping his shaving cream on her towel and she can keep her mascara off of his. Problem solved thanks to Cyanide Stitches. Okay, so it may not be a Valentine's day gift for your sweetie, but these were too cute not to include. These adorable onesies from Funky Monkey Threads will be a great little fashion statement for the inseparable siblings, cousins, best buds, etc. SCORE! 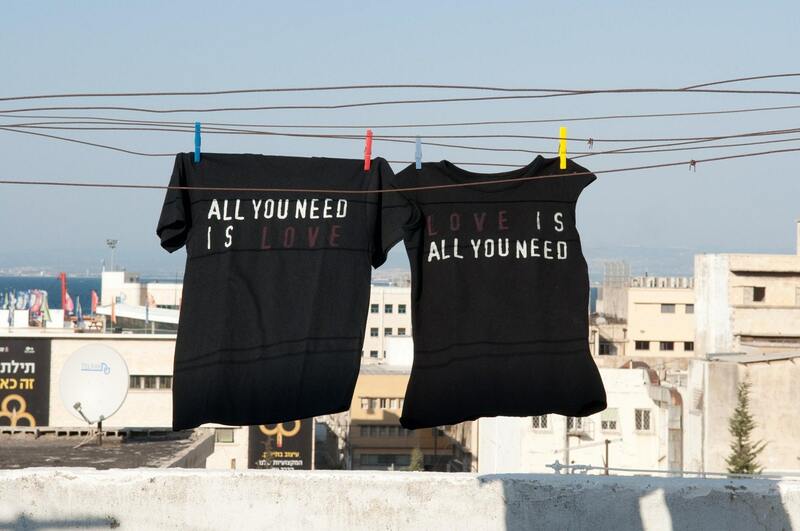 His and Hers Beatles lyrics t-shirts for you and your love. There are no words to describe how amazing these are; they simply describe themselves... they are all you need this Valentine's day! Kudos to PettiBear where the shirts are available. 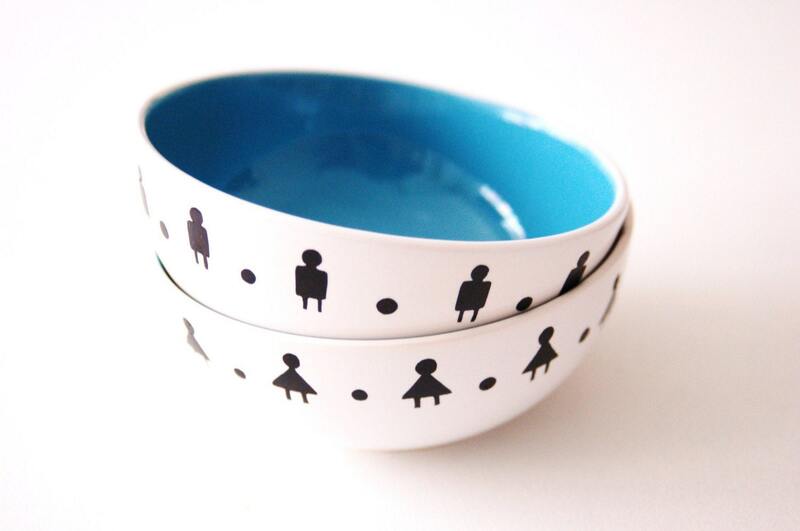 Now you can stop fighting over the last cereal bowl in the morning, since these bowls are clearly marked. Using her bowl would be as bad as using the ladies room at the public mall... you wouldn't want to do that, now would you? Keep your hands off hers and she'll keep her hands off yours... and keep in mind that this statement pertains only to clearly marked items, all other territory is open to your touch this February. Oh my! Visit Studiotto for this set. Anyone who has seen Notting Hill will know just how romantic a bench can be. 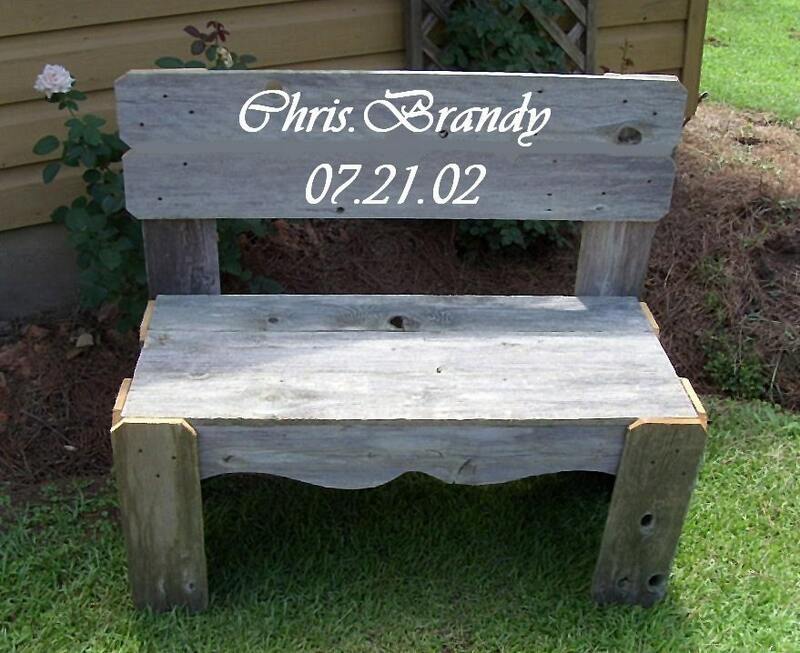 For the woman who loves the bench, and the man who always sits beside her, this item is offered by TRUECONNECTION. 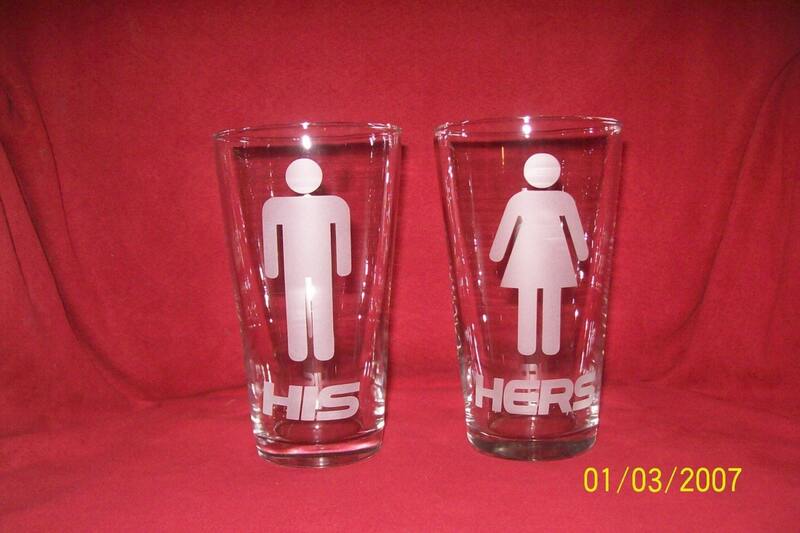 Make a toast to each other with these glasses that can be etched with "his" and "hers" or personalized with your names beneath the images. Available from Lizetch. Now you can be connected to one another through your undergarments thanks to Craftastica. The world may not know it, but secretly throughout the day you will know that your knickers match your sweetie's. This is the ultimate cutesy gift! Well, I suppose I had better head to work and avoid being late, even though I'd much rather stay here collecting lovely little items. This post is wonderful and VERY funny lol. Thanks for including my Tees in!